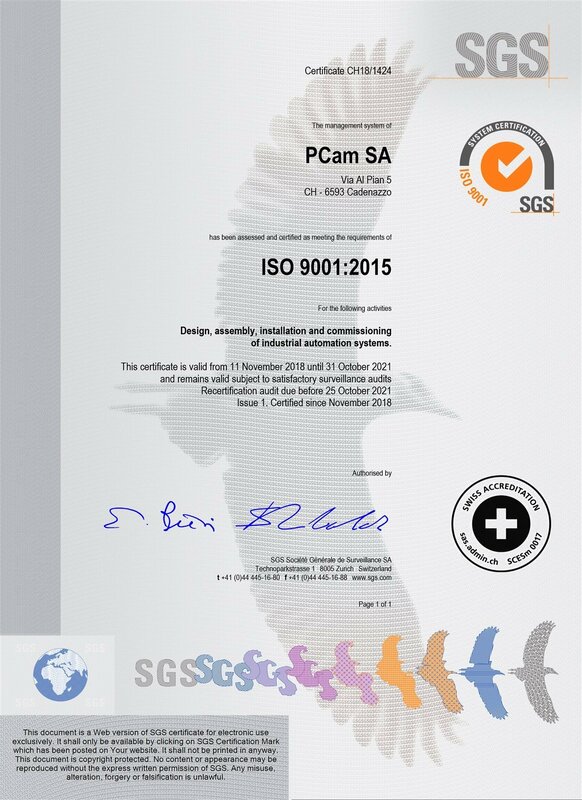 With the implementation and maintenance of a management system compliant with the ISO 9001 standard, PCam SA intends to code its organizational and process know-how so as to make it shared within the organization itself, verifiable by audit activities, measurable through a system of indicators, oriented to improvement in line with the contingent conditions of the reference market. The general objectives outlined above are pursued through the definition of performance targets for the main processes, the planning of detailed objectives and actions to improve the management system. This planning is guaranteed by the Management of PCam SA at least once a year following the periodic review of the system.